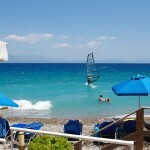 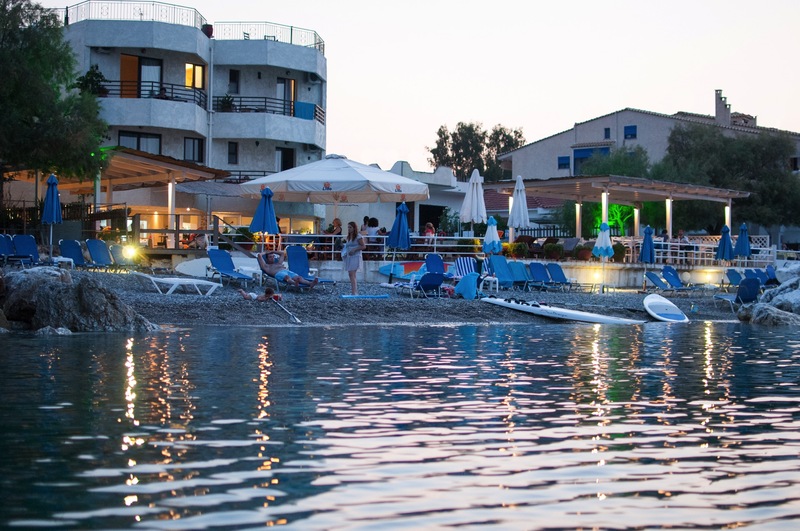 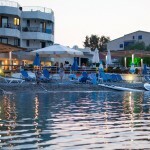 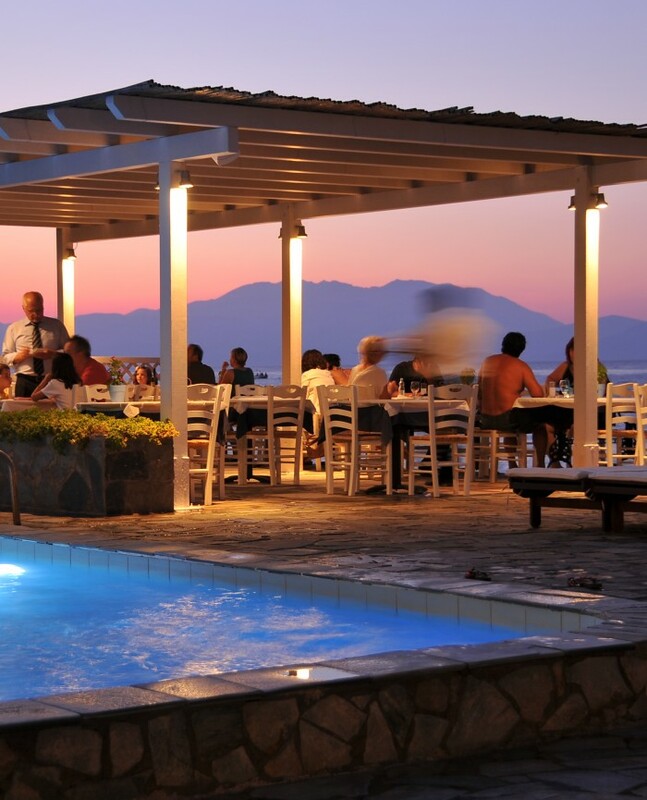 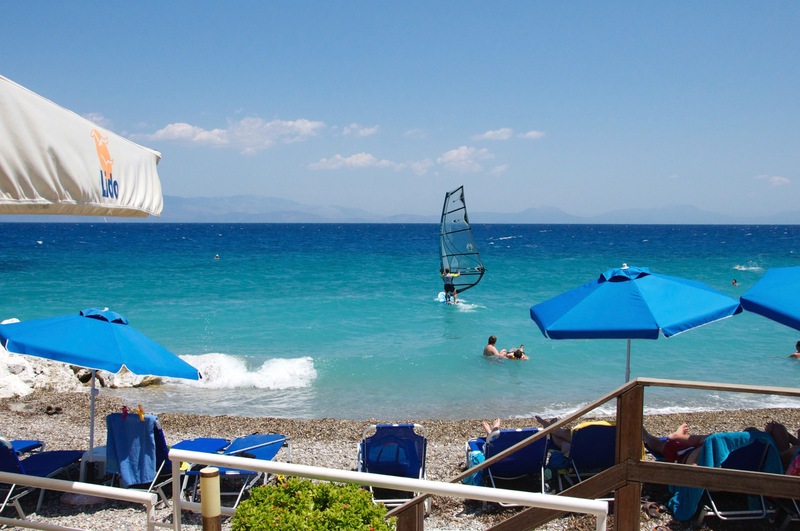 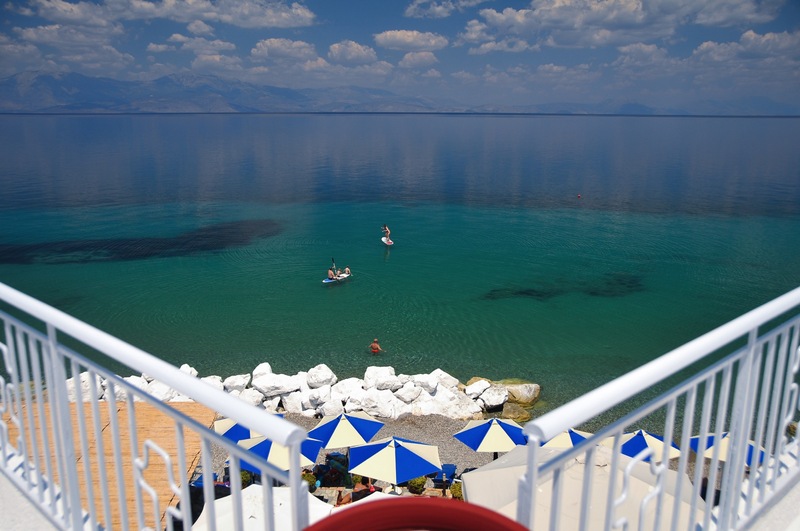 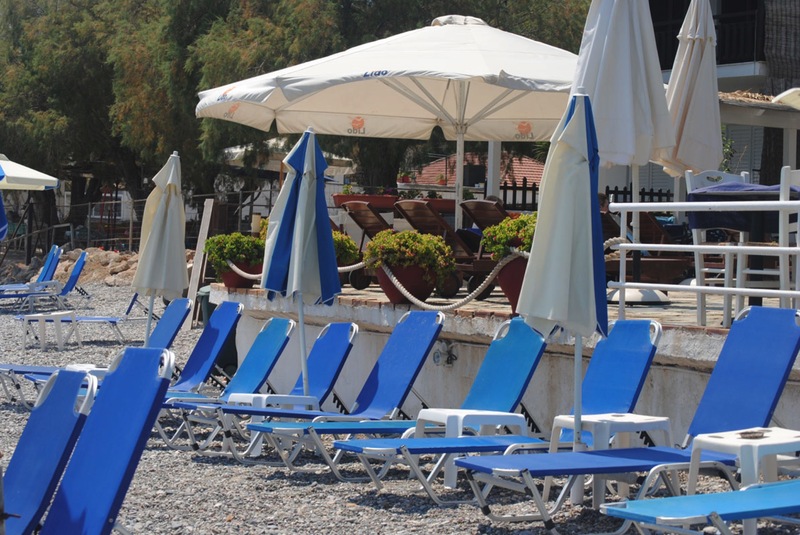 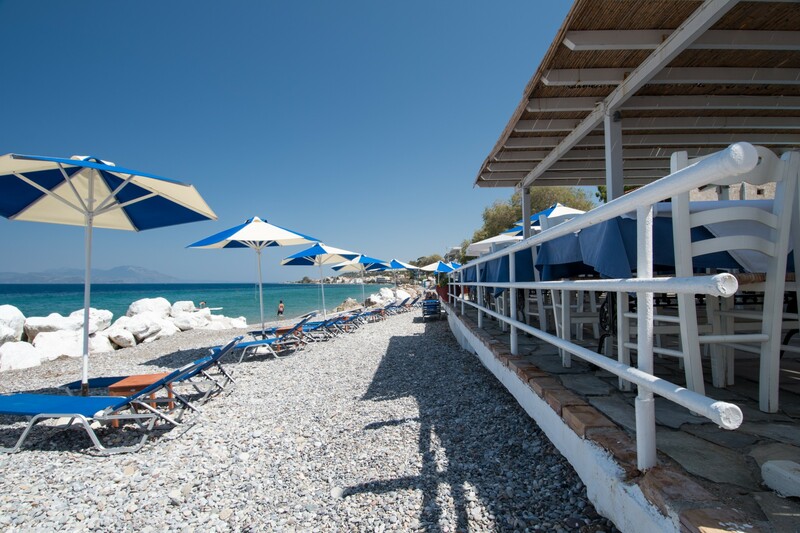 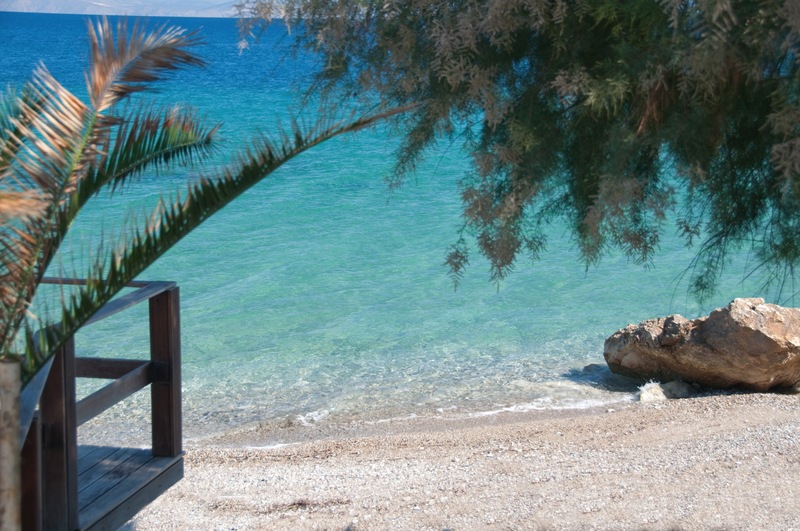 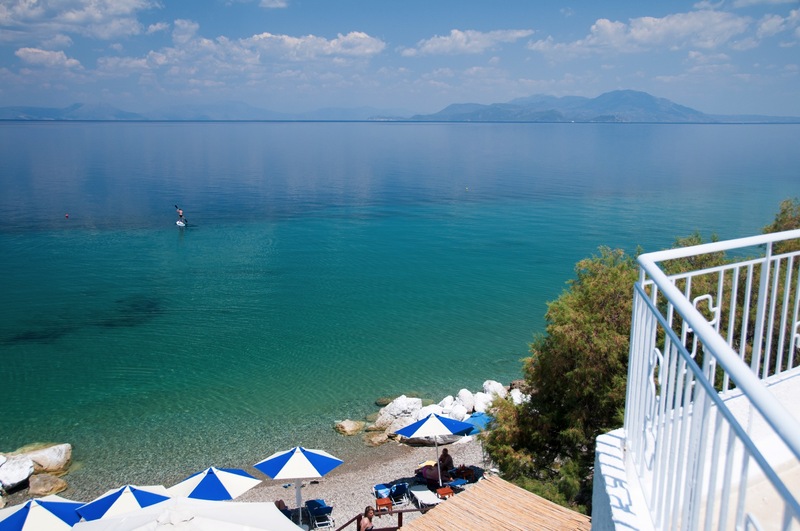 Hotel Lido is located directly on the seafront, offering direct access to the beach. 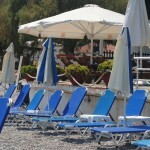 There are free sun loungers and umbrellas for use by all guests. 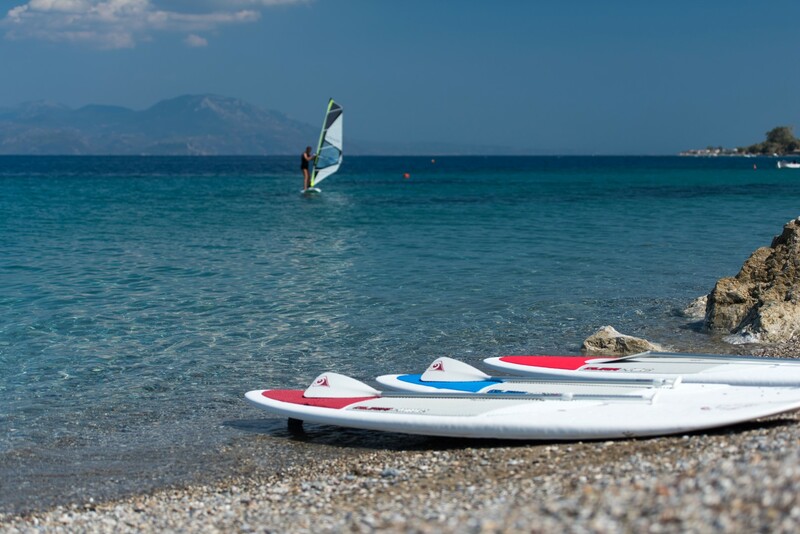 You can also have a go with water sports such as windsurfing, canoeing / kayaking, or SUP. 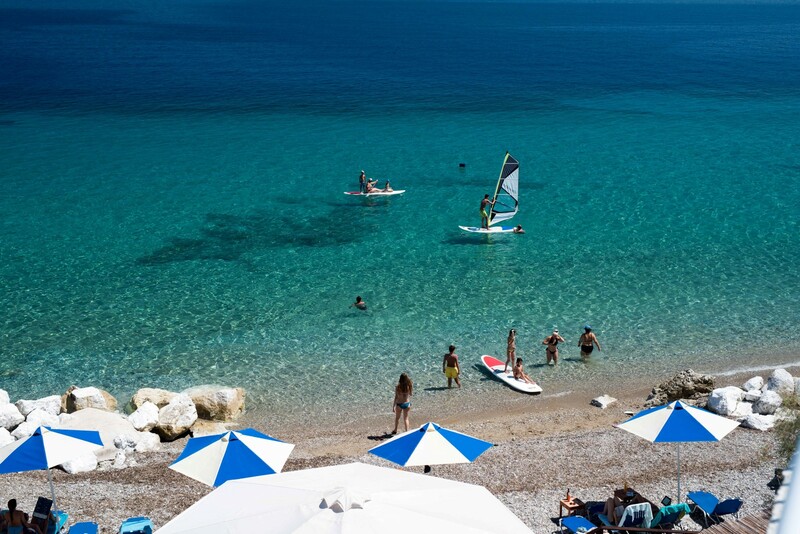 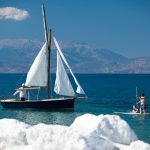 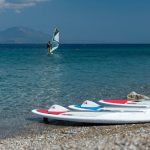 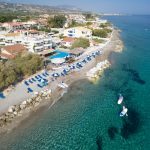 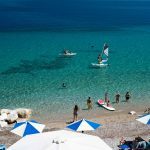 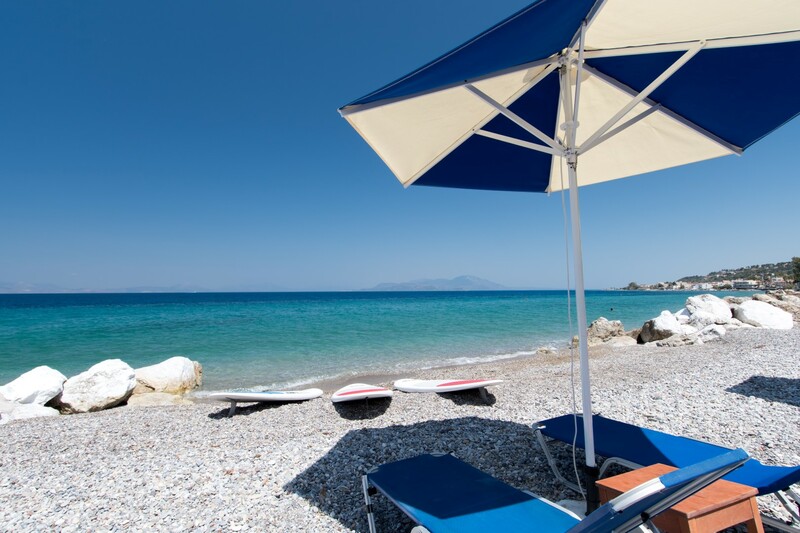 The waters of the Gulf of Corinth (featured as a marine reserve), especially in our area are extremely clean and a few local beaches have been awarded with a blue flag. 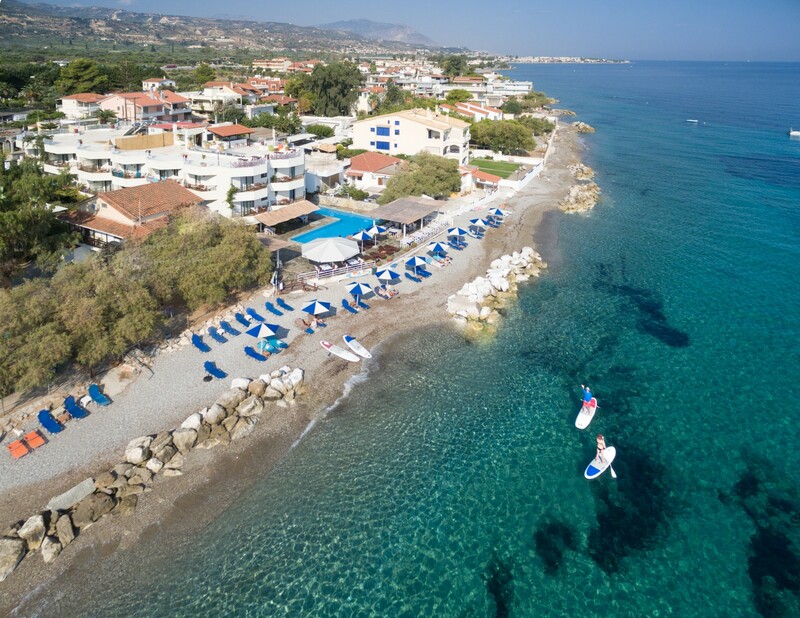 This is mainly due to the large depths of the open sea nearby, no local heavy industrial activity, and no domestic sewage ending up in the sea in our vicinity.